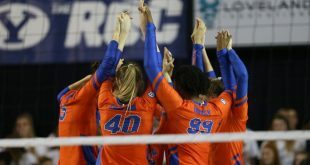 The Florida Gators volleyball team opened up the Honda of Gainesville Gator Invitational with a strong 3-1 victory over Jacksonville University. The game was the first of two the Gators will play Friday. They take on Florida International University at 7 p.m.
Thayer Hall put on a show, recording 11 kills to go along with her 9 digs and 3 blocks. Hall also broke out a new serve in today’s game, a float serve. Her ability to execute impressed head coach Mary Wise. The 11 kills Hall had today added to her team-leading total of 148. The match started off sluggishly for the Gators. Jacksonville won the first set 25-22, putting the Gators in an early hole. The Dolphins were led in that set by Hailey Devlin and Mallory Mattingly who had 4 and 3 kills in the first set, respectively. However, Florida came back strong in the second set, dominating 25-15. Paige Hammonds put on a show in the set, recording 5 of her 9 kills in the set. Despite her gaudy offensive numbers in the set, that isn’t her primary offensive role. 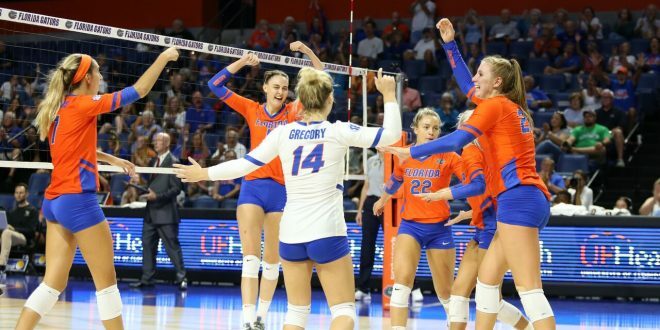 The last two sets of the match went just as smoothly for Florida. After falling behind 9-5, the Gators outscored the Dolphins 20-5 to finish off the set and go up 2-1 in the match. Lauren Dooley put an exclamation point on the set with a vicious kill to give the Gators the edge. Florida finished off JU for good in the fourth set, taking it 25-13. 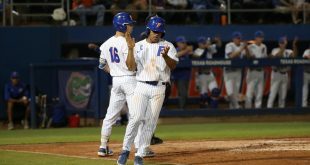 The Gators opened the set on a 10-3 run, forcing the Dolphins into 8 errors. The lead would continue to balloon as Hall ended the match with a kill to clinch the victory. 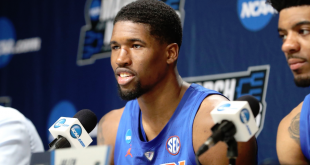 The Gators return to the court against FIU at 7 p.m. and the Panthers pose a different set of challenges than the Dolphins. Wise will look to keep her team from coming out flat in the day’s second match. Last week in the Lumberjack Invitational, the Gators fell in their second matchup of the first day to Northern Arizona. 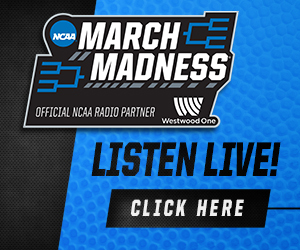 Coverage on WRUF will begin at 6:50 p.m.